Strange Culture: Is It Hard Out There For A Pimp? Is It Hard Out There For A Pimp? 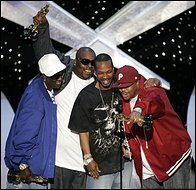 I don't know why but for some reason of all the Academy Awards that went out the one it seems most people (Bill O'Reilly, The Blogosphere and Your Mom) can't stop talking about is the Three 6 Mafia's Oscar win for the song "It's Hard Out There For A Pimp" (from Hustle & Flow). In one of my post...A guy posted a link to his friend's blog with a great post. Kelly's post on this site really analysis the song lyrics and comments made by Jon Stewart and the true facts about Pimps and Prostitutes. 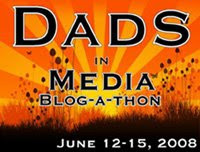 It is very interesting blogging & thoughts that give a perspective to think about. Is YOUR mom talking about this song?? not my mom, but everybody elses.